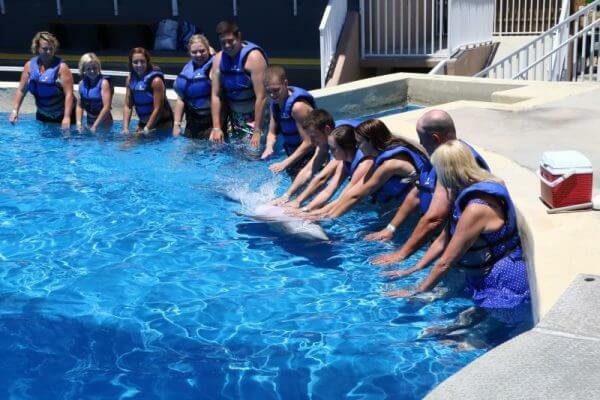 This program is designed for all ages to have a great learning experience and meeting; to know more about the wonderful dolphins by interacting with them. 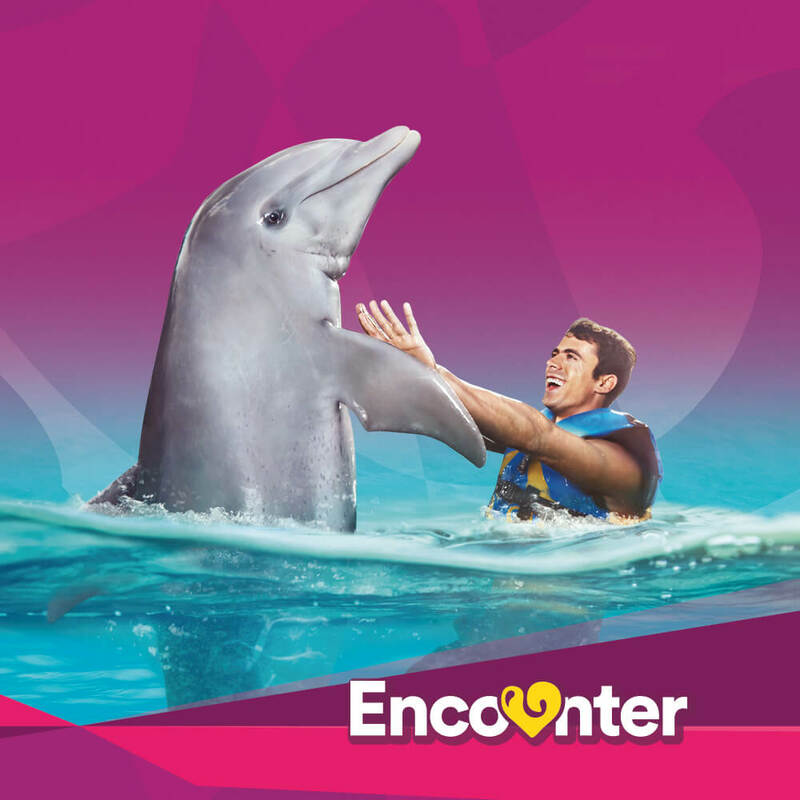 The hand-target is very entertaining as the dolphin will jump to touch your hands. You will also receive a kiss and a hug unforgettable! Anyone that is handicapped or has any medical restrictions, special needs, prosthetics, or pacemakers is required to contact to call 850-234-5271 or email [email protected] prior to booking. Kids must wear water diaper if they are not potty trained. No refunds unless cancelled by Gulf World. Duration Approx. 30 minutes shared time with a group.